He’s the consummate songwriter, storyteller and Big Shot, The Entertainer, The Piano Man – he’s Billy Joel. As one of the most awarded and universally loved musicians in popular music, Billy Joel’s work has infiltrated the lives of generations and provided the soundtrack to many a music-lover’s most memorable moments. 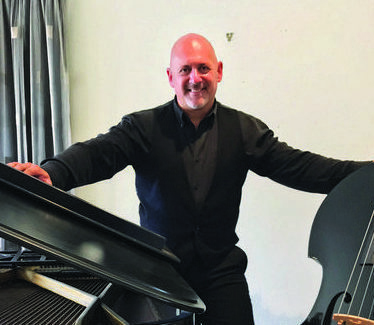 Fans can now immerse themselves in the memories and the musical legacy of Billy Joel with a captivating concert tribute by Australian singer and entertainer, Steven Michael, at Sibaya Casino & Entertainment Kingdom, Umhlanga Rocks, Durban, from April 18 to 28. Michael brings to life the highlights of Joel’s career live on piano, guitar and vocals, bolstered by tight band, iconic saxophone solos and backing vocals to make up that true and authentic, streets-of-New-York, Billy Joel sound. Expect a set list filled with ageless classics such as ‘New York State of Mind’, ‘Just the Way You Are’, ‘Always a Woman’, ‘Uptown Girl’, ‘Only the Good Die Young’, ‘You May Be Right’, ‘Tell Her About It’, ‘The Longest Time’, ‘Say Goodbye to Hollywood’, ‘My Life’ and many more. ‘Piano Man: The Billy Joel Show!’ will be showing at Sibaya’s iZulu Theatre. Tickets are R250 per person from Computicket, Shoprite/Checkers or Sibaya Box Office.